I am a marketing major’s dream. Slap some colorful artwork or something shiny on a product and I am drawn to it like a kid with ADD. 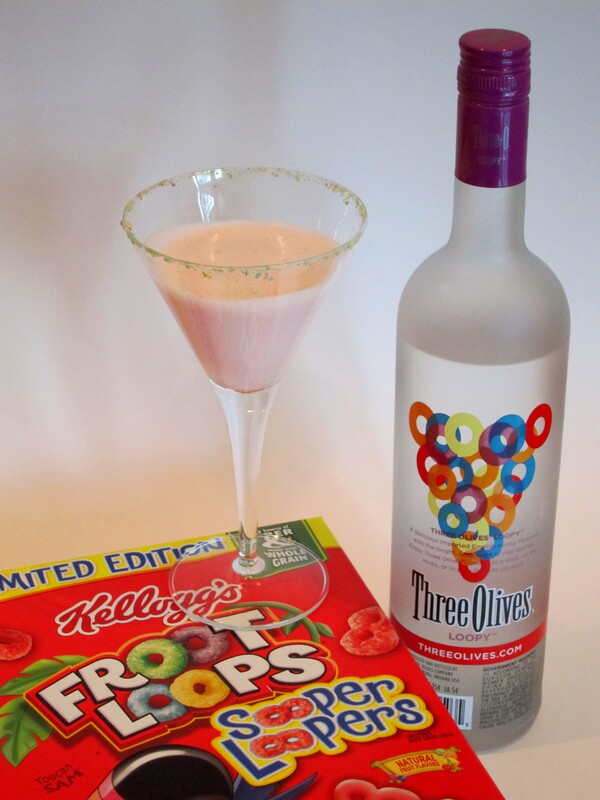 The most recent thing to catch my eye was Three Olives Loopy. I was wandering up and down the vodka aisle at the liquor store while my boyfriend changed his mind for the millionth time about what beer he was going to buy and there it was – purple cap, blue, yellow, orange, pink and purple rings and that name – Loopy. 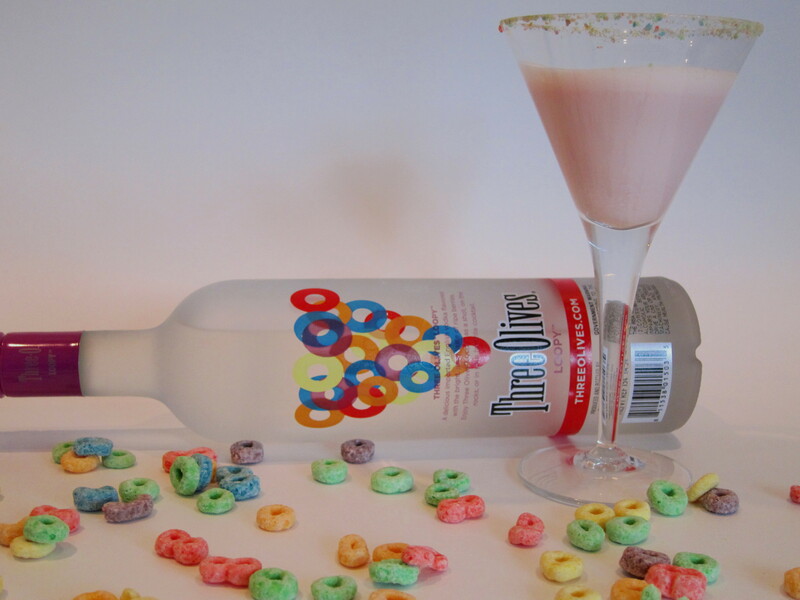 Vodka that tastes like Fruit Loops?! Gimmie, gimmie!!! It’s a rainy day today – perfect for staying in an experimenting with my pretty bottle of vodka. I cracked it open and the smell of one of my favorite kiddie cereals wafted out. This is going to be so easy, I thought to myself. 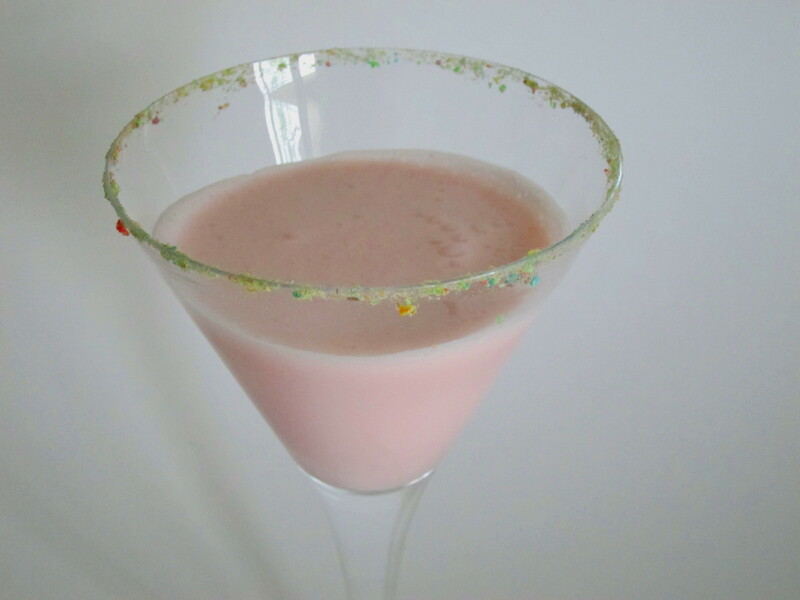 Mix the vodka with some of the heavy cream I have left from yesterday’s chocolate mousse cake and I should have a drink that tastes just like the leftover milk from a bowl of Fruit Loops. 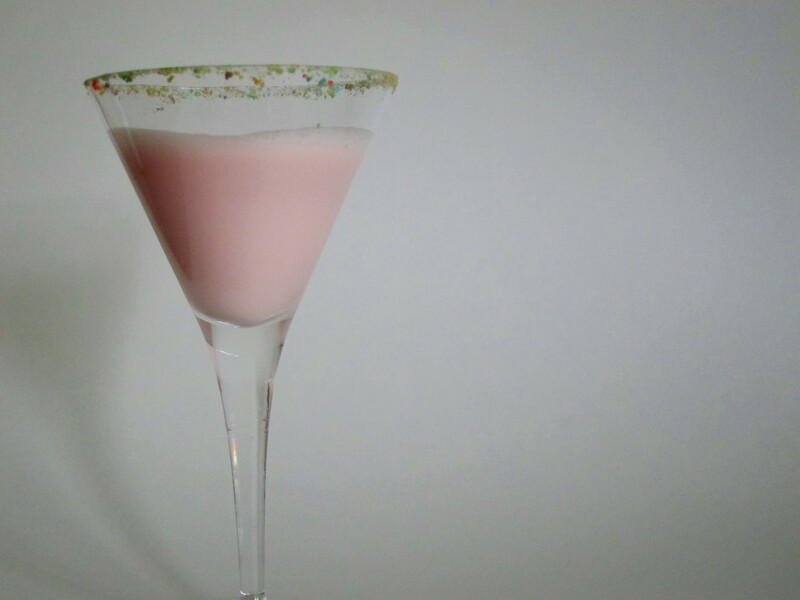 I poured a shot of vodka and a splash of cream into my cocktail shaker with some ice, gave it a quick shake and then went in for the taste test. Ahhhhhhhh!!! If Toucan Sam was a boozer, this would be his drink of choice. 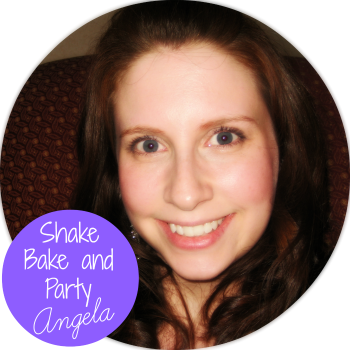 Combine ingredients in a cocktail shaker and shake it up (oooh-oooh)! 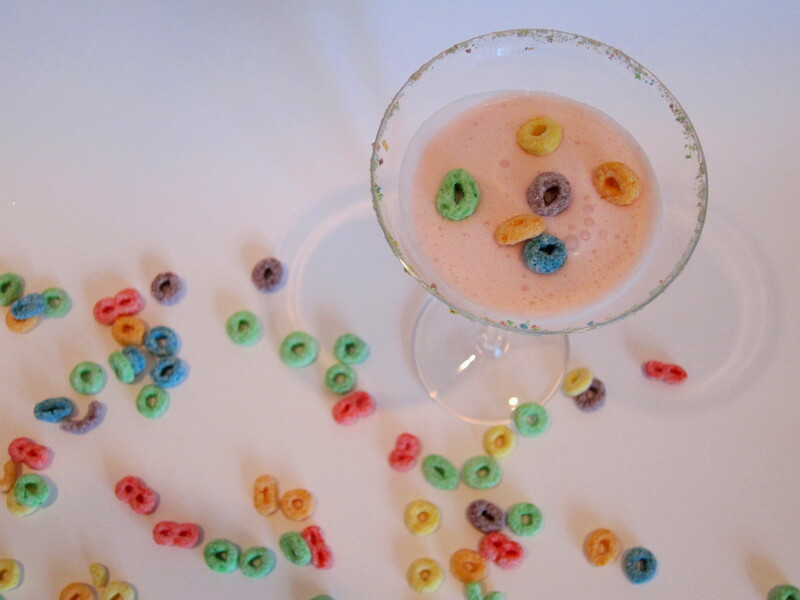 If you like, rim your martini glass with some crushed Fruit Loops before pouring in your cocktail.